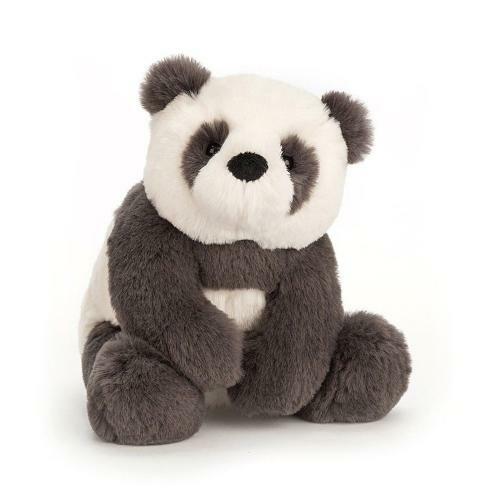 Tubby and ticklish, Harry Panda Cub is such a cuddly chap. His charcoal-grey and creamy fur is velvety-soft and so beary snuggly. Harry's beany feet help him sit up, and his lollopy legs swing about when he's carried. We love his bobbly tail the best!